What If Today’s Cars Were Designed Decades Ago? Is the Car Interior of the Future in This 1969 Mustang? PAID SUBSCRIBERS GET A FREE SUBSCRIPTION TO THE AUTOMOBILE MAG APPLE EDITION! 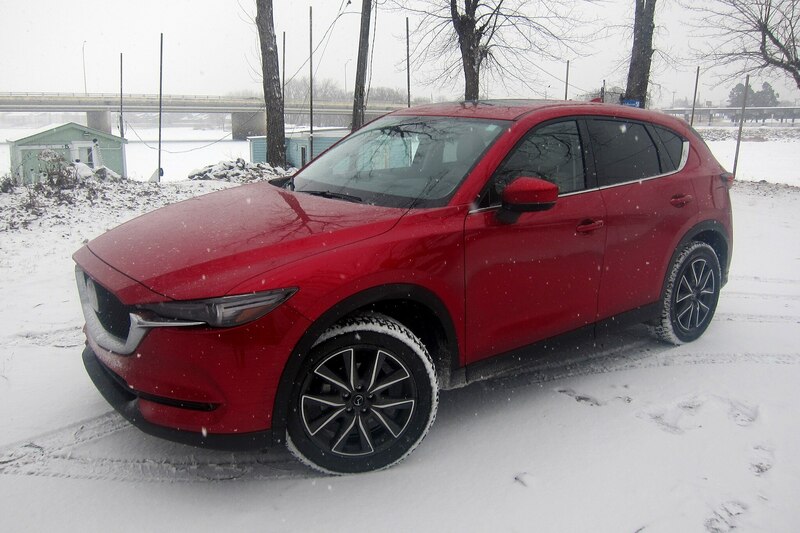 Even before our Four Seasons 2017 Mazda CX-5 and I could hightail it out of Greater Los Angeles for its second cross-county journey, this time a one-way trip to Michigan, it was clear this relatively humble compact sport/utility is what BMW’s “SAVs” aspired to be—a tall utility with good ride and good handling. A good ride is far more important on these cross-country trips. There has not been time to forage far off the Interstates in search of Blue Highways, though my escape from SoCal took me along beautiful, and (for California, especially) quiet Highway 395 along the Eastern Sierra Nevadas. The first day’s drive took me from Automobile’s El Segundo HQ to Reno, Nevada, and one route suggested by the Apple iPhone would have been 526 miles. It was I-5 to I-80, via San Jose and Sacramento. I might have chosen a side trip west, swinging by the Bay Area city of Fremont to skulk about the Tesla factory and check up on early Model 3 production, but my only goal for that first day was to make it to Sparks, just outside of Reno, by Tuesday morning to switch into winter tires from our friends at Tire Rack. Northbound Highway 395 through the communities of Lone Pine, Big Pine, Bishop, and Mammoth Lakes provided a serene road trip experience you can’t find in Coastal California. At times, I felt like I was back in British Columbia, north of Vancouver, where (in the early ‘90s, at least) you could drive along Highway 97 for half an hour before another car came from the other direction. No, US-395 is not nearly that desolate, but when you’re driving solo, the beautiful Sierra Nevadas and the cloudy, darkening blue skies feel more comfortable and soothing than a sea of taillamps ahead of you. There’s too much open road ahead to feel rage when a big, lumbering SUV blocks the passing lane as its driver sends text messages. 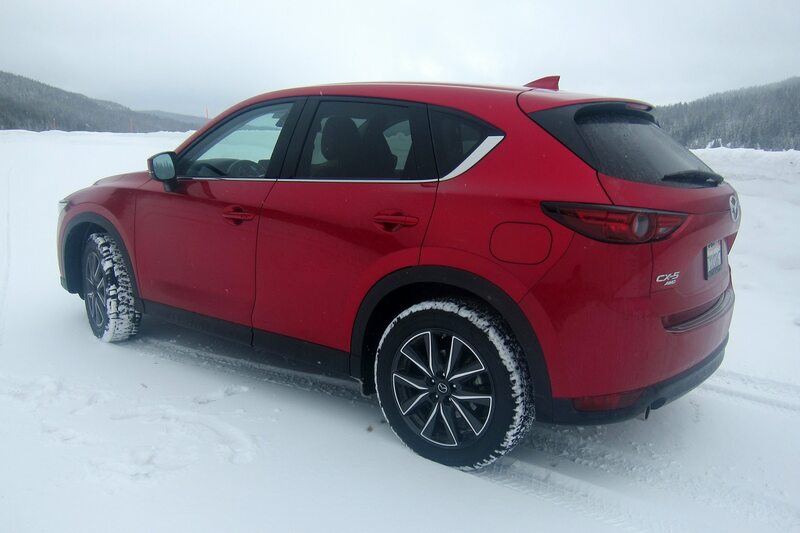 Perhaps that’s what the Mazda CX-5’s nav system was thinking when it routed me onto the lonelier road. Though it might not be as quick as I-5/I-80 in, heh, good traffic, this route to Reno is actually 37 miles shorter, measuring 486 miles total. 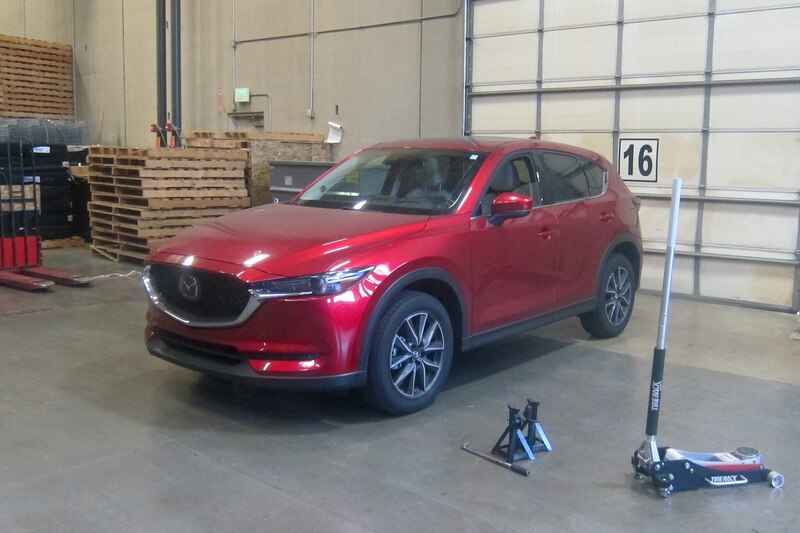 My first fill-up was in Inglewood, as the CX-5 had about 10 miles of range when I picked it up from HQ Monday morning. 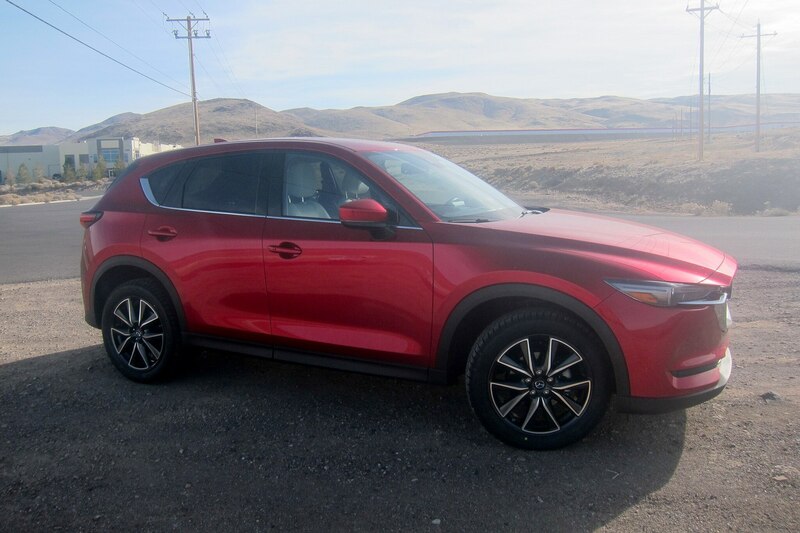 My second was in Big Pine, California, 289 miles later, for 24.7 mpg—decent for a large-compact SUV, though not exceptional for one with a 2.5-liter I-4. 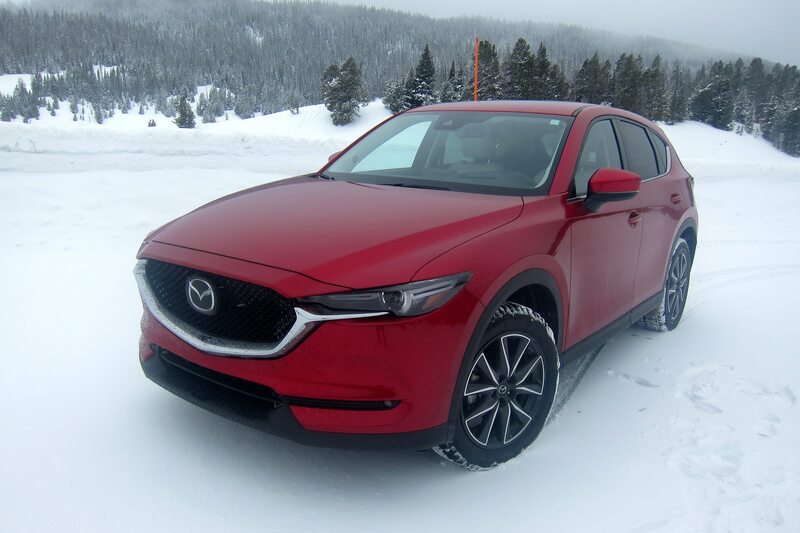 The 187-hp four-banger has been the popular Mazda SUV’s only major shortcoming, since El Segundo HQ took delivery of the CX-5 last June. 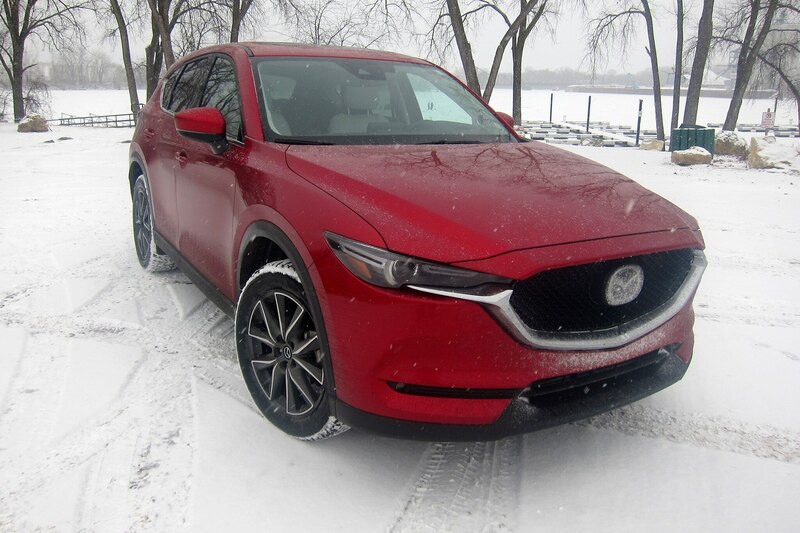 Yes, yes, you’re thinking about how the hallowed Miata always has been underpowered; but while the current MX-5 is short of the CX-5 by 32 ponies, it’s more than 1,300 pounds lighter. 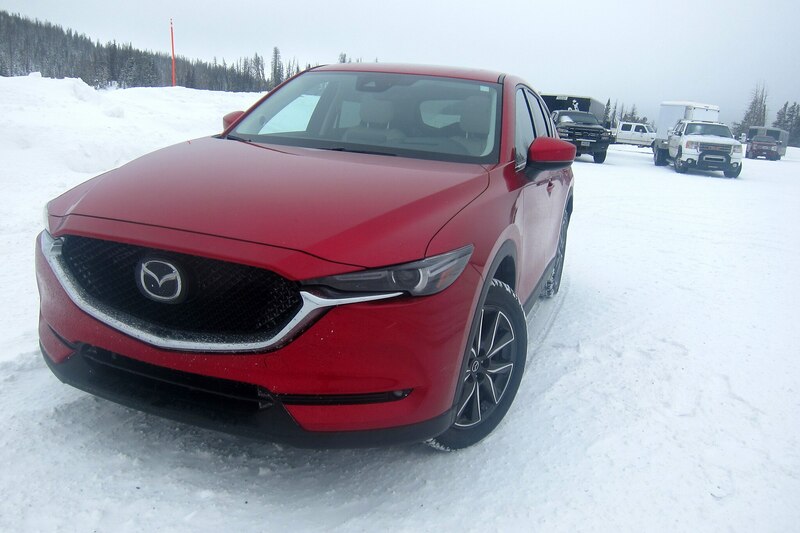 And the 2019 Miata is in for 26 more horses, just six short of the much-bigger SUV. “It sort of caught me off-guard the other day with how slow it was out of the gate, when I was trying to get up to freeway speed,” said editor-in-chief Mike Floyd last fall, when he recorded commuter mpg in the low 20s. 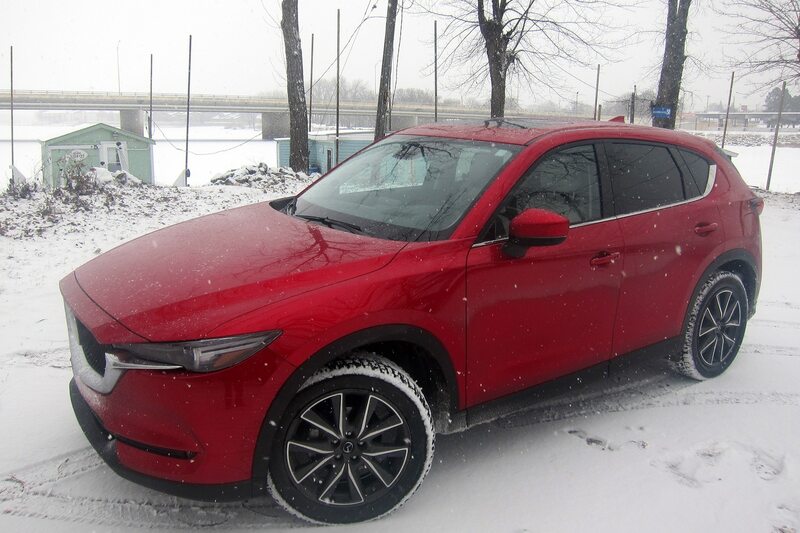 A “sport” button jacks up the throttle response, though the button’s purpose doesn’t readily come to mind when you climb into this compact SUV, even though it’s right there, just below and to the left of the six-speed automatic’s gearshift. You’ll try it a few times then figure it’s probably not worth the extra hit to fuel efficiency. This sort of lackadaisical acceleration almost defines any naturally aspirated compact utility, though perhaps we were expecting more from the erstwhile Zoom Zoom brand. El Segundo HQ had seven dogs among its staff when it took delivery, while the single staffer comprising the Automobile Detroit Bureau has three dogs—all collies. 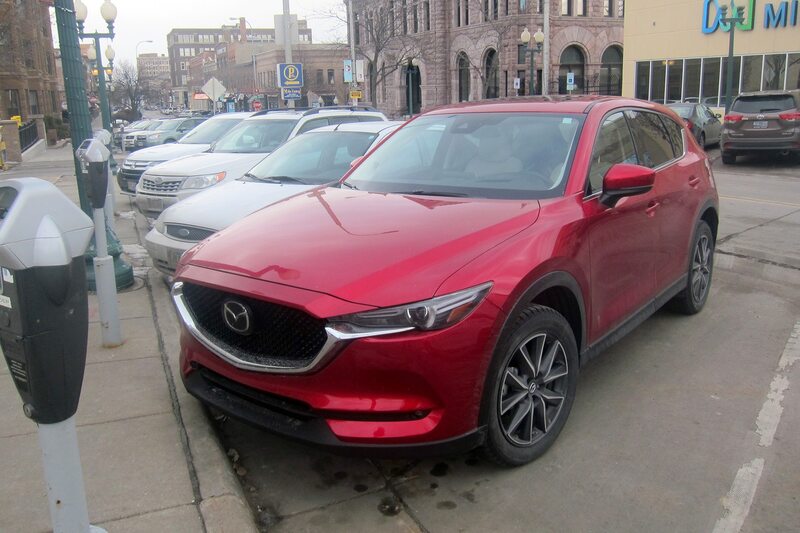 Once I would get the Mazda CX-5 to Michigan, its second row would be flipped down almost all of the time. High-powered car wash vacuums are a must. But first, I had to get it there. 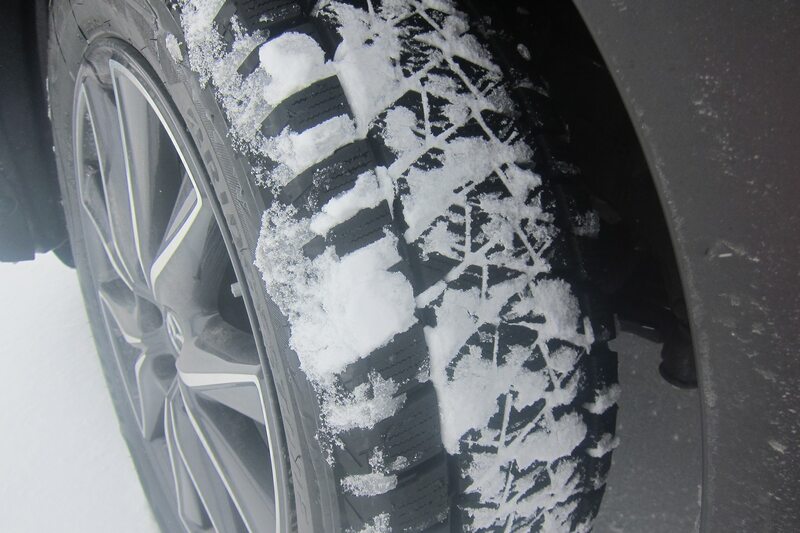 I drove north before driving east so I could get Tire Rack to install a set of Bridgestone Blizzaks ($765.70, including sales tax, mounting and two-years roadside protection) on my way to Jackson Hole, Wyoming, to drive the Nissan 370Zki and Armada Snow Patrol ahead of the 2018 Chicago auto show—this was still the middle of The Endless Winter, remember. Tire Rack’s Sparks, Nevada, facility is a warehouse only. It neither sells nor mounts tires for retail customers of any kind, but I had no free time and knew I’d be white-knuckling it over the Rockies about the beginning of February, relying only on Predictive I-Active all-wheel-drive and the factory installed Toyo A30 mud-and-snow all-season tires. 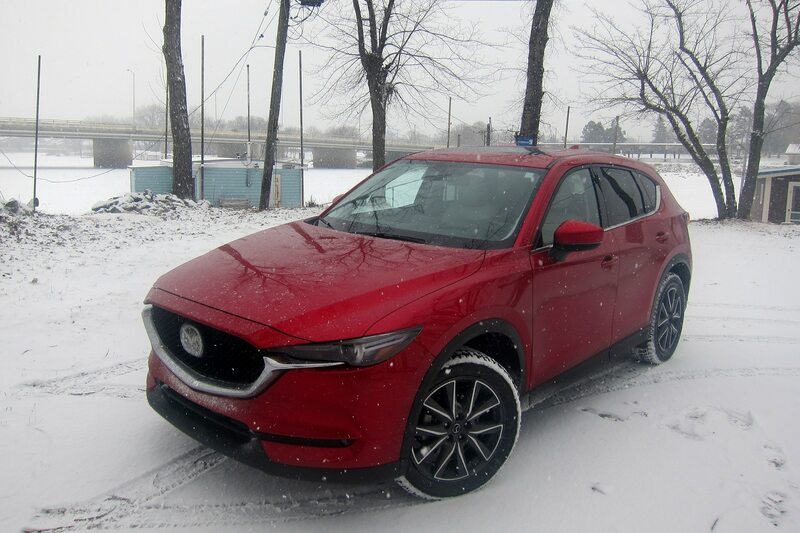 Given a choice between front-wheel-drive plus Blizzaks, or AWD plus all-seasons, I’d take the winter tire option every time, so the winter-AWD combo seems unbeatable. The Blizzaks were mounted on the stock wheels and the Toyos would occupiy about two-thirds of the cargo compartment for the remaining 2,650 miles to the Detroit Bureau in Royal Oak, via Jackson Hole, Wyoming, Sioux Falls, South Dakota, Davenport, Iowa, New Berlin, Wisconsin (to visit parents) and through Chicago and Northern Indiana. Sign up today for our FREE newsletter and get the latest articles and news delivered right to your inbox! © 2019 AUTOMOBILE | MOTOR TREND GROUP, LLC. ALL RIGHTS RESERVED.